Logically, the little holiday tree in my office is decorated with Star Trek ornaments. The ornament of Spock and the Horta is my favorite! Once again, like in 2013, the annual Georneys “What to Buy a Geologist for Christmas” list is a little late. That’s okay, though. If you’re having a busy December like me, then you’re probably a little behind on your holiday shopping. Also, these days you can order things online and request overnight delivery. Such is the modern world! Do you have a geologist (or several) in your family? Then check out the list below for some holiday gift ideas. Geological bedding! Picture from http://www.landofnod.com/. Geologists often talk about geological (rock) bedding… now they can sleep in geological (bedroom) bedding! If you want to spoil the geologist in your family, purchase the amazing “To the Centre of the Bedding” set for sale by Land of Nod. The set is a little expensive, but it’s amazing and also looks reasonably geologically accurate. If someone buys me this bedding set, I think I’ll put it in the guest room and not let anyone ever sleep there… it will just be for show! If you’re on a budget, you could at least buy the amazing volcano pillow as a gift. Plastic tube for transporting posters and maps. Picture from Amazon.com. Geologists can always use a plastic tube that can be used for safely transporting posters (to present at conferences) and maps. There’s nothing worse than finding creases and rips in your posters and maps! So, for the travelling geologist in your family, why not buy a plastic tube? I recommend a nice one with a strap. You can find a variety of these tubes. For example, here’s a nice one for sale on Amazon. Box of pH indicator strips. Picture from Amazon.com. For the hydrologist in your family, pH indicator strips make a great gift. I always carry a pack of pH indicator strips in my field pack, in case I want to quickly test the pH of spring water. Of course, a proper analysis requires a pH meter, but even then I often use the indicator strips first for reconnaissance to select sampling locations. You can buy a variety of pH indicator strips. I recommend the 0-14 ones. For example, here’s a suitable box for sale on Amazon. Paint marker. Picture from http://www.pentel.co.za/. Another very useful item for a geologist’s field kit is a paint marker. Forget a Sharpie marker – that ink will just rub off of sample bags and tags over time. When you want to write a label that won’t rub off, use a paint marker. Some paint markers also write ink that’s resistant to fading at high temperatures, which is great if you want to write on sample tags or containers that need to go in an oven. I used paint markers extensively during field work in Alaska, and I learned that you can’t have enough of them when you’re collecting large numbers of geological samples. Black or blue paint markers are great. You can also buy multi-colored packs of markers, if you want a slightly fancier gift. Paint markers are available at many stores. Here’s an example of one for sale on Amazon. The Martian book. Picture fromhttp://www.goodreads.com/. One of my favorite movies this year was The Martian. I haven’t read the book yet, but now it’s on my reading list. My husband says that it’s well worth reading the book, even if you’ve seen the movie. For the planetary geologist in your family, why not purchase a copy of The Martian book? Or, if you prefer, you can write a card with a coupon that can be redeemed for the DVD, when it is released next year. Map backpack. Picture from http://www.doubleedge.co.za/. Geologists like maps, and they always need backpacks! 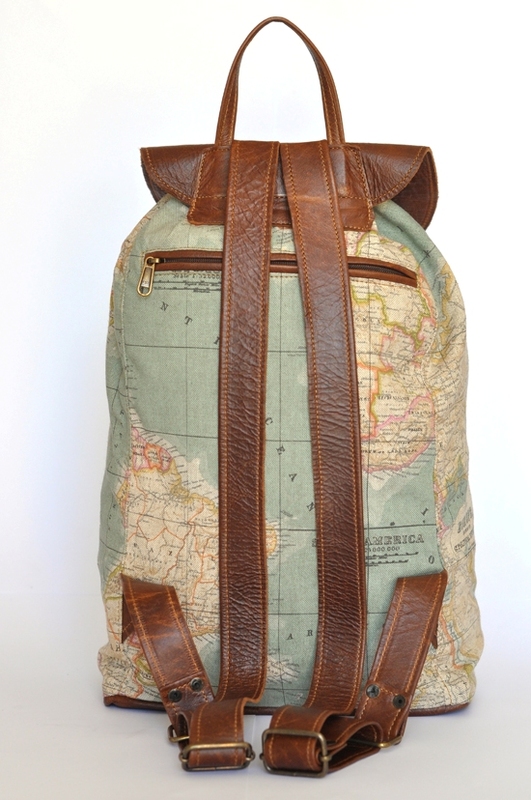 So, why not buy the geologist in your family a backpack with a map on it? What a perfect holiday gift! There are dozens upon dozens of different map backpacks. I particularly like this one. Soapstone cubes for chilling whiskey. Picture from http://www.surlatable.com/. Is the geologist in your family also a whiskey connoisseur? If so, I recommend whisky rock cubes, which are small cubes of soapstone that can be used as an alternative to ice in your whiskey drink. The soapstone cubes can be chilled in the freezer to make your whiskey cold. However, unlike ice, these cubes won’t melt and dilute your drink. Furthermore, since soapstone is soft, these cubes won’t leave scratches on your nice whiskey glasses. I certainly know several geologists who enjoy whiskey, and I bet they’d love these soapstone cubes. With these cubes, they’ll be able to appreciate their whiskey and at the same time tell you how soapstone is made through metamorphism and where soapstone falls on the Mohs hardness scale relative to glass! You can buy soapstone cubes for whiskey at several places. For example, here are some for sale at Sur la Table. Pangaea beer. Picture from http://brewbacker.blogspot.co.za/. Is the geologist in your family more of a beer drinker than a whisky drinker? If so, then why not buy them a bottle of Pangaea beer? 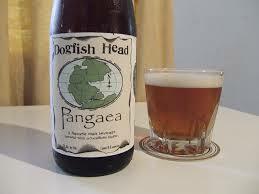 This beer is made by Dogfish Ale Craft Brewed Ales and is named after the supercontinent of Pangaea (also spelled Pangea). This beer is called Pangaea because it is made with at least one ingredient from every continent, including Antarctica! Cost: About $15 – I think this beer is limited edition, but perhaps you can find a bottle somewhere! Let me know if you know of a good supplier. Beaker mug. Picture from www.thinkgeek.com. The geochcemist in your family will really love a beaker mug, such as this one from ThinkGeek. Just remind your loved one not to mix up this mug with their real laboratory glassware! The latest pair of knitted woollen socks that I made for my husband. A good pair of warm socks is essential for geological field work, especially in cold weather. I realize that socks may seem like a cliche holiday gift, but believe me the geologist in your family will appreciate a good pair of woollen hiking socks! If you happen to be a knitter, like me, you could even knit a special pair of socks. I’ve made three pairs for my geologist husband, and he still wants more! There’s nothing better than handmade knitted socks to keep your toes cosy during geological field work.